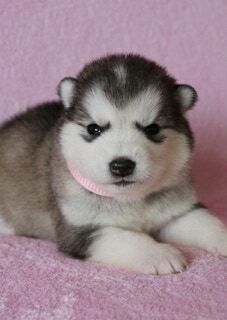 Please make sure this is the right breed for you before thinking about buying a Alaskan Malamute puppy from me, or any other breeder. They are beautiful dogs to own with thier “wolf like” symilarities ,but this can also lead to them being bought for all the wrong reasons. Too many are being rehomed and going into rescue because the owner has failed to look after them. You will see alot of young puppies from 2-6 months for sale. This is when the puppy has got bigger and the owner is not prepared to train the puppy properly. Leaving the owner to sell the puppy . 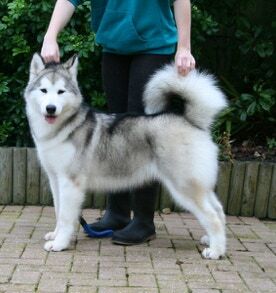 In some cases of rehoming, the malamute has got to the age of 1-2 years. It is quite common for a malamute to go through a fase at this age, where they miss behave. This is when the malamute is turning into an adult and wants to challege you to be Alfa (Leader in the packing order). 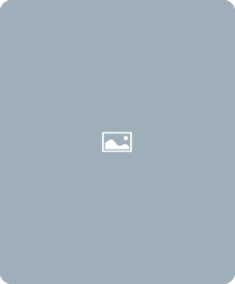 More comonly shown in males then females, but remember this is only a fase. With reinforced training your malamute will quickly accept its place with YOU being in charge. In order to stop Alaskan Malamutes being re-homed or sold again, you as the buyer must be apsoulutly sure about having one. 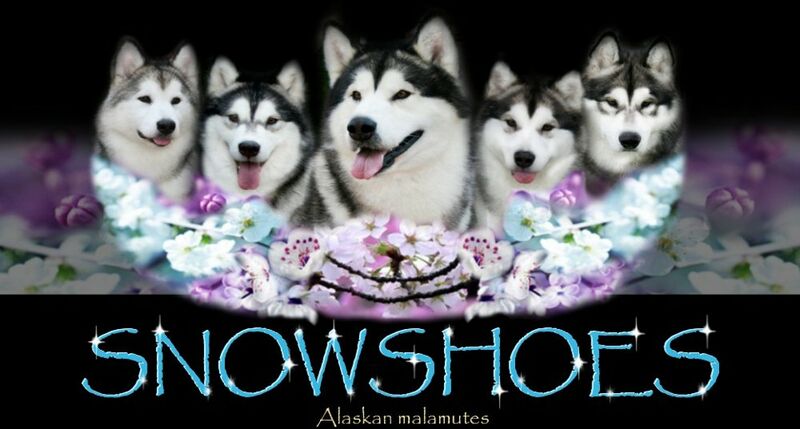 Alaskan Malamutes can live to 14-16 years old, so don’t rush into buying one . - Lots of free time to do training with the dog. -Doesn’t mind dog hair (as they shed thier coat twice a year). -To be able to walk the dog regulary or some form of exersise. -To be finacially secure and have a suitable home for the dog. They may look small and cute at 4-6 weeks old ,but they do not stay like that forever. 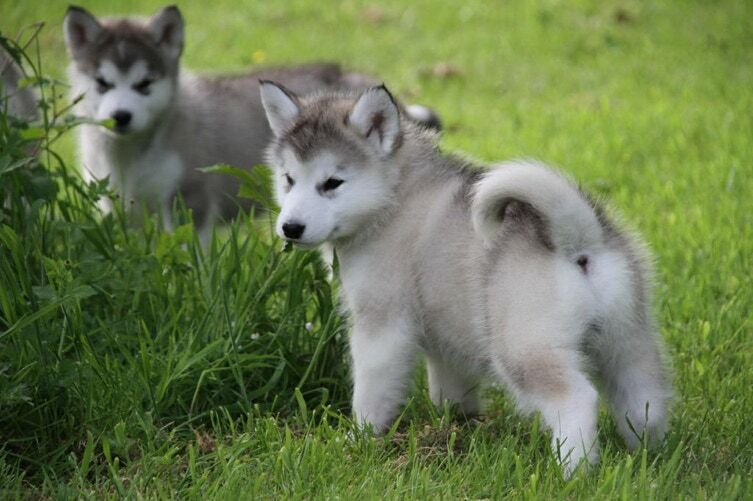 Alaskan Malamutes have one of the fastest growth rates as puppies. 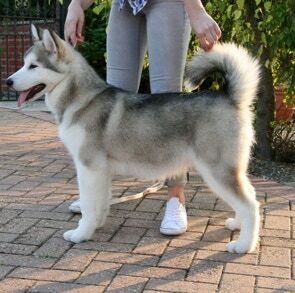 As a adult they will have a thick double coat, and strong “packing order” influences..
Alaskan malamutes where bred and trained in Alaska for sledding for many years. So naturally all their characteristics are to enhance their survival. EG: In freezing temperatures they would have to warm and thier human companions “Eskimos” . Remember I am always here to help before and after buying a puppy so don’t hessitate if you have any questions you would like to ask. - Do not like heat due to thier double thick coat. -Have lots of energy and need to be kept busy(Mentally as well as phisically). - They are more of a howling dog then barking (especailly if a ambulance/ police car/ fire engine goes by.) Quite for most of the time otherwise. - Very loyal and intelligent as a breed. - High prey instict like most dogs, but can be trained not to chase ect. - Will dig holes in your garden unless trained not to.